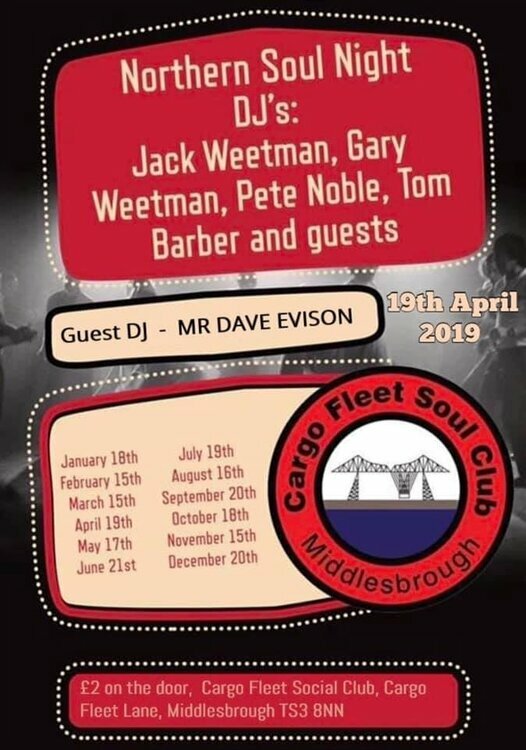 Well it’s here again, Middlesbrough best loved northern soul night. Only £2 on the door. Cargo Fleet Social club, Middlesbrough. Pete Noble, Jack Weetman, Gary Weetman & Tom Barber. Always busy so get down early!